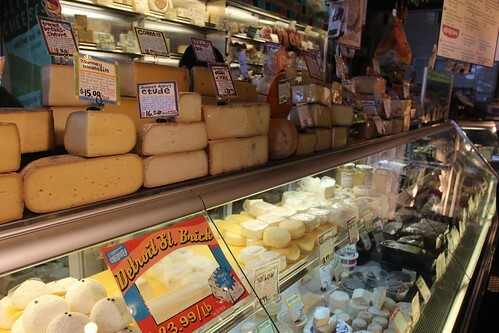 Mali Mish - Day 70: Zingerman's Deli and a visit to Ann Arbor. When we meet people during our travels, we usually get some type of look from them (good or bad) before they inquire about some of our future destinations. 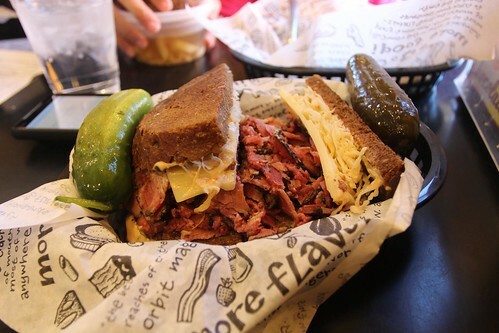 Whenever we mention going to Ann Arbor, they ALWAYS pipe up about Zingerman’s Deli. So as soon as we headed into Ann Arbor and found a parking spot, we walked over to this famous delicatessen. 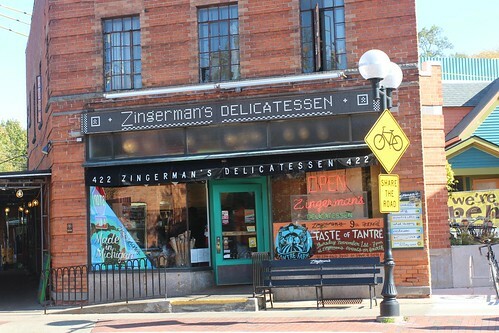 Zingerman’s opened its doors in 1982 with only 5 tables. Over the span of the next 30 years, this famous Jewish deli added an additional 700 sqft building next to the original building, started catering, opened up a coffee shop, creamery and a roadhouse and won lots of awards. 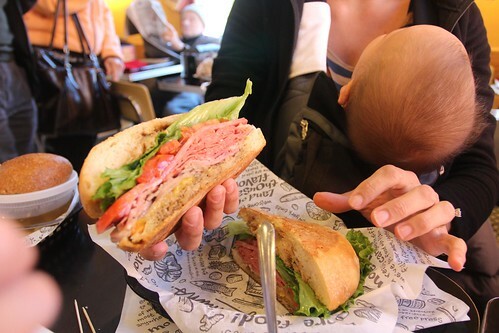 As soon as we walked in the doors of Zingerman’s Deli, I could already tell what the hoopla was all about. Food was stacked up everywhere. And it was packed with people. And the cheese. Oh… the cheese. But don’t worry, I didn’t torture my allergy prone baby by cheating on my diet. I just bit my lip and held back the tears instead. The selection of sandwiches here is huge. It was overwhelming to tell the truth. Plus being rushed to order off of it did not help the situation. The guy at the front counter helped guide us down the right path. Dan ordered #48 Binny’s Brooklyn Reuben, which was Zingerman’s pastrami (instead of the classic corned beef), real Switzerland Swiss cheese, sauerkraut & Russian dressing on grilled pumpernickel bread. The small was $13.99. But for two buck more you could get the large. And that is what Dan did. I got #26 Frank & Kathy’s Half-Italian Sub, which was all-beef salami, Italian mortadella, Arkansas peppered ham, provolone cheese, lettuce, tomato, onions, spicy fire-roasted New Mexico green chiles, olive oil & red wine vinegar grilled on an Italian paesano roll. Yum! Make mine a large too. 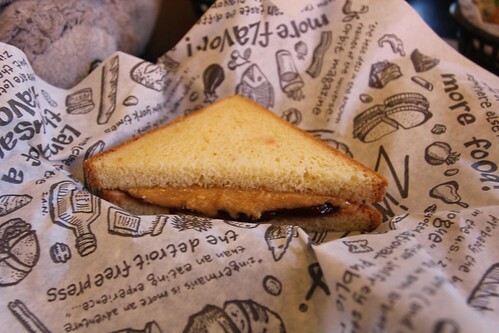 The kids are not fans of sandwiches but they insisted on the peanut butter and jelly sandwich… for 5 bucks. What a rip. And guess what? Yup, they hated it. But luckily for them, we also ordered a large chicken noodle soup for them to split. So our total for lunch today was $48. Yes, you read that right. Kinda shocked us too. And we didn’t even order drinks. But the sandwiches are sooo good. Really good. Because days later, I am still thinking about them. 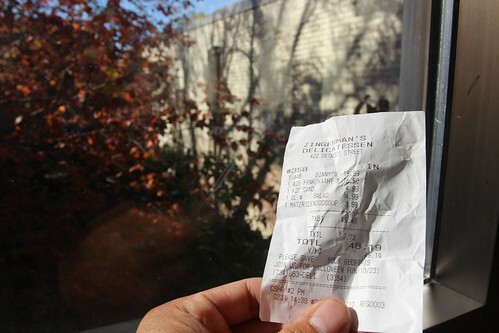 And Dan is still shaking his head about paying $16 for his sandwich. I was reading another blog about Zingerman’s Deli and they complained a little about the price too. For a 50-dollar lunch, the sandwich better be piled with meat a foot high… or they better get us drunk. Haha. 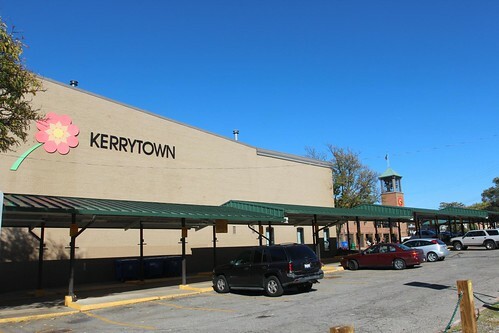 As we walked around town, we stopped by a place called Kerrytown. 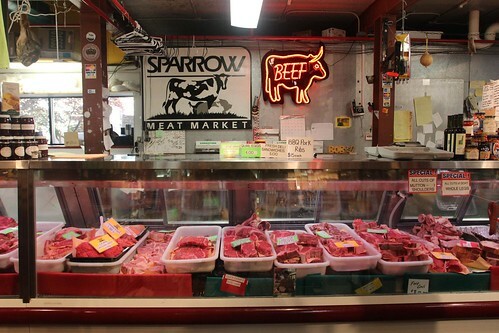 It reminded us of of the public market in historic Milwaukee. The public market here is Ann Arbor has a wide selection of foods. It was fun walking around, checking out everyone’s specialties and scoping out free samples. 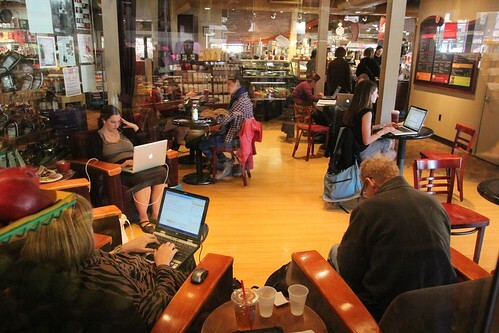 And appeared to have pretty good free wi-fi too! 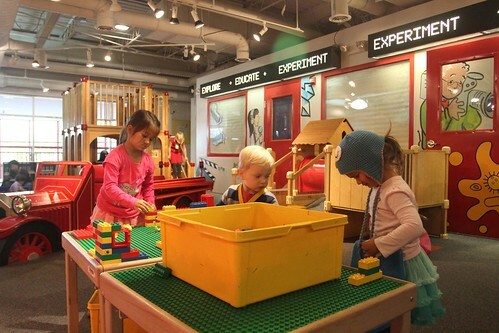 Dan had set-up a playdate with an old co-worker of his at the Hands-On Museum in town. We happened to get there on the day they offer 5 after 5. All of us got into the museum for only $20 bucks. Perfect because we “left” all of our money at Zingerman’s Deli! The kids mostly kept to themselves. The age gap was a little too wide for them to interact too much. 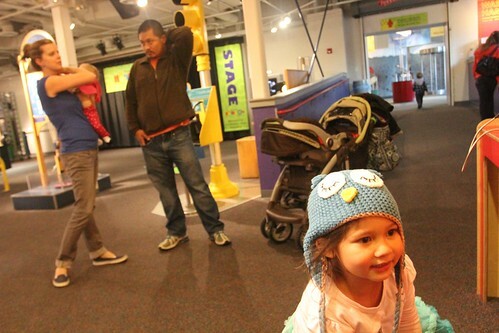 But the girls still had a blast running around and learning about all the museum had to offer. 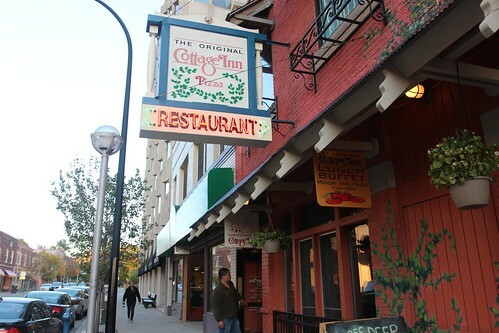 Yesterday we enjoyed pizza from Cottage Pizza but today we ended up at the original restaurant, The Cottage Inn. Truthfully, Dan and I were too stuffed from our lunch to even think about the pizza. I know, I know. Shame on us. We split a salad. That never happens! How pathetic. But the pizzas there smelled and looked awesome. 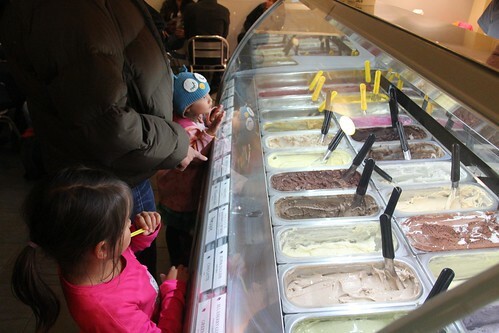 We ended our night with a quick stop at the gelato place next door. 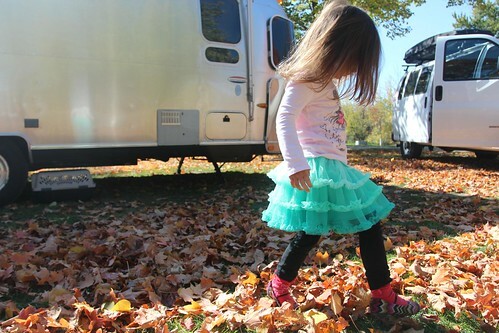 During our last trip to Croatia, Ava fell in love with lemon ice cream, which is difficult to find stateside. 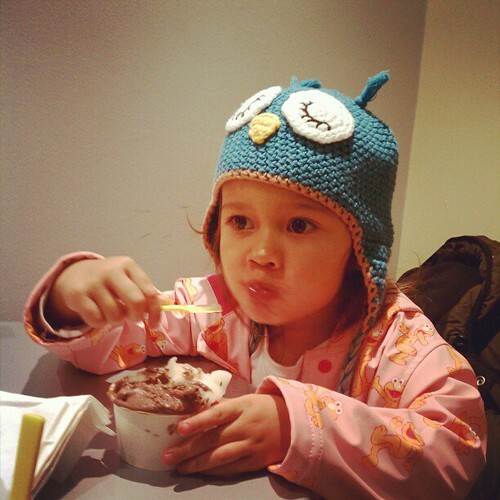 But her odds increase at gelato shops… and she was in luck tonight. And Mila? She just likes chocolate…or strawberry because it is pink. Oh, 3 year olds! 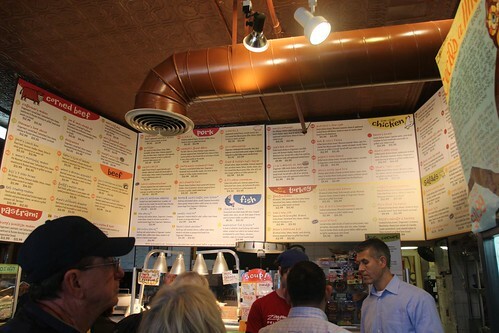 5 Responses to Day 70: Zingerman’s Deli and a visit to Ann Arbor. Glad you enjoyed your visit to our hometown! We never,never, miss Zingermann’s when we go to Ann Arbor. 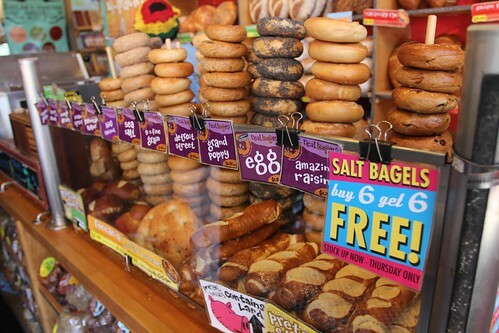 I love breakfast there and I always leave loaded down with bread. P.S. I hope Luka is doing better. That is insane for a sandwich!!!! Plus, they look like your average deli size. Unbelievable.